Hi there, I'm Scott and I have been DJ'ing for many years now. What started as an interest in collecting records, whilst playing the drums, tuba, recorder, (not all at once!) and listening to all types of music soon turned into learning DJ skills, mixing and actually playing at any and every function I could get my teeth into. From youth clubs, church festivals, various family events I was soon playing in local pubs, clubs and other venues. Now with two kids I have been DJ'ing numerous school discos and childrens' parties. However I also love to entertain all ages and am competent within all functions. With years of experience it's the one thing I've always enjoyed and am good at and my music collection is second to none. Whatever you need I'm your man! Wow! 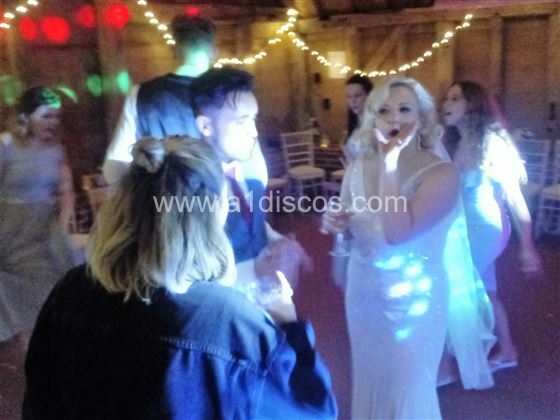 What a fantastic night with great music and an extremely friendly and accommodating DJ. 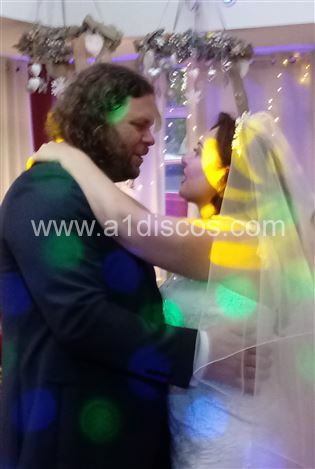 We would have no hesitation in recommending Scott of A1 Discos to anyone. 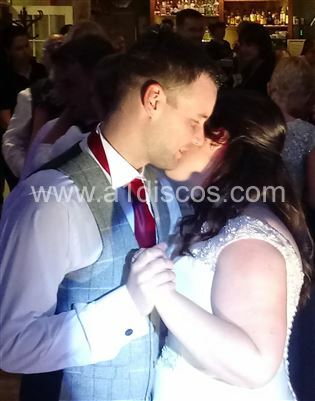 Scott managed to keep the dance floor buzzing all night and seamlessly included all of our chosen songs and requests received on the night. Thank you so much Scott for a great evening we will never forget. Scott was excellent! 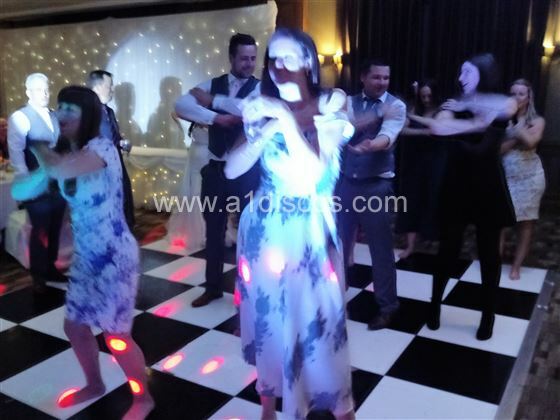 He got everyone on the dance floor - I don't think there was a point in the night where it was empty. 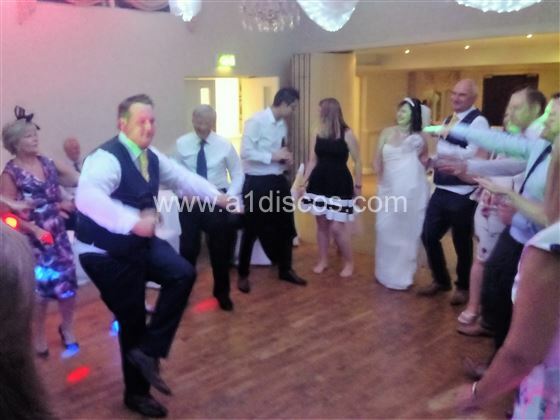 He played a perfect mixture of our playlists and his own picks/guest requests. 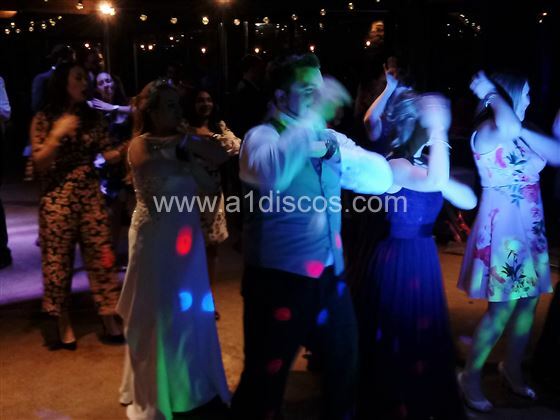 We couldn't have asked for a better DJ for our wedding, it was such a fun and memorable night on the dance floor. Thank you so much Scott from the new Mr & Mrs Thomas!